The Ulster 100 mile Time Trial Championships took place on Sunday and despite windy damp weather eleven riders took part with eight finishers. Newry's Niall Clarke took the Senior Gold medal with a superb time of 3:51:45. 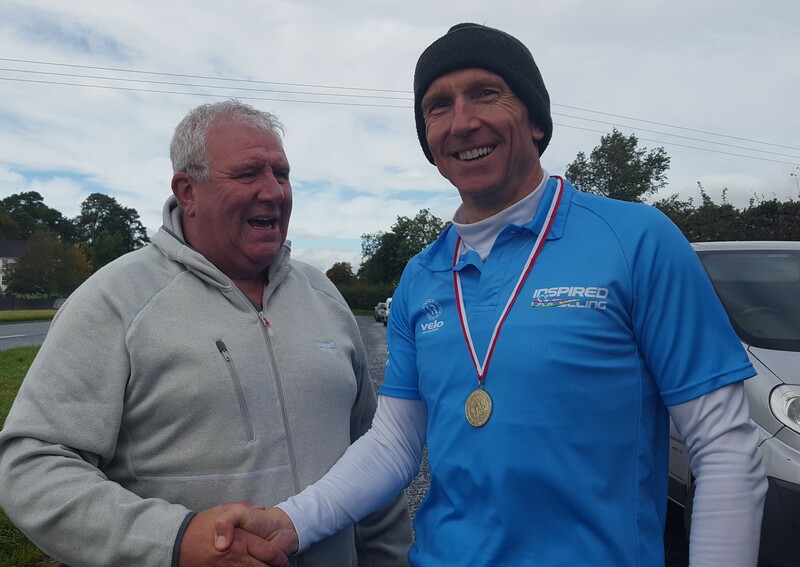 He was followed in by John Madden of Inspired Cycling in a time of 3:56:19 and he takes the gold medal in the M50 class. 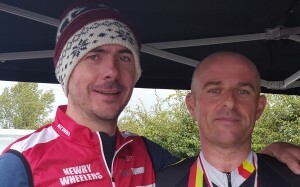 Silver and bronze in this category went to Island Wheelers' Noel McLoughlin and Patrick Morning of Four Masters respectively. 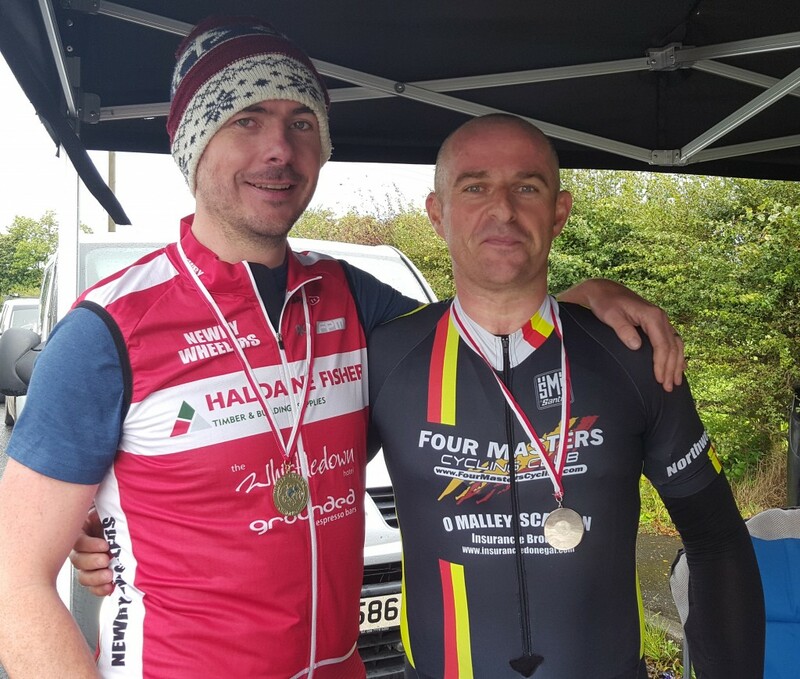 Barry Hayes of Island Wheelers topped the M40 category with a time of 4:11:02 followed in by Johnny Kane of Four Masters in a time of 4:16:42. Johnny Webb of North Down took Bronze in this category. 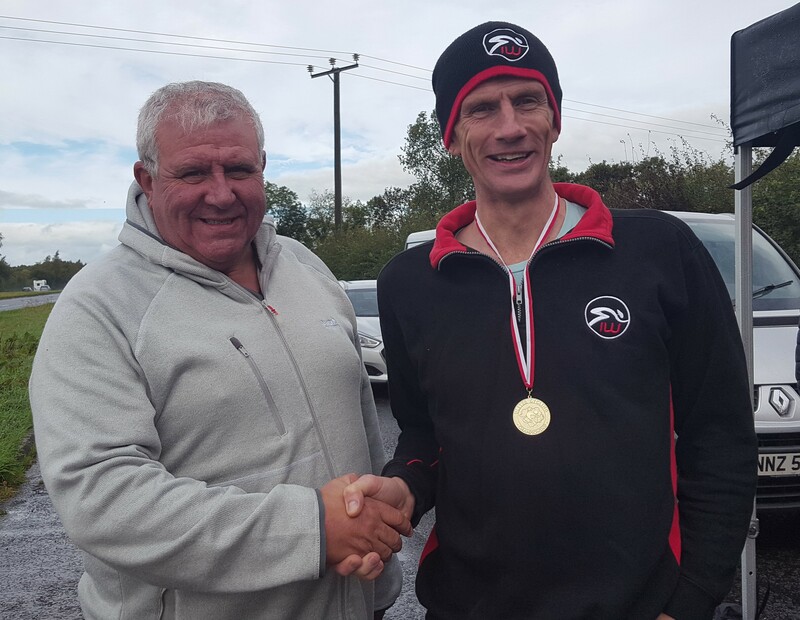 In the M60 class Eamon Toland took the medal making the long journey from Donegal worthwhile. 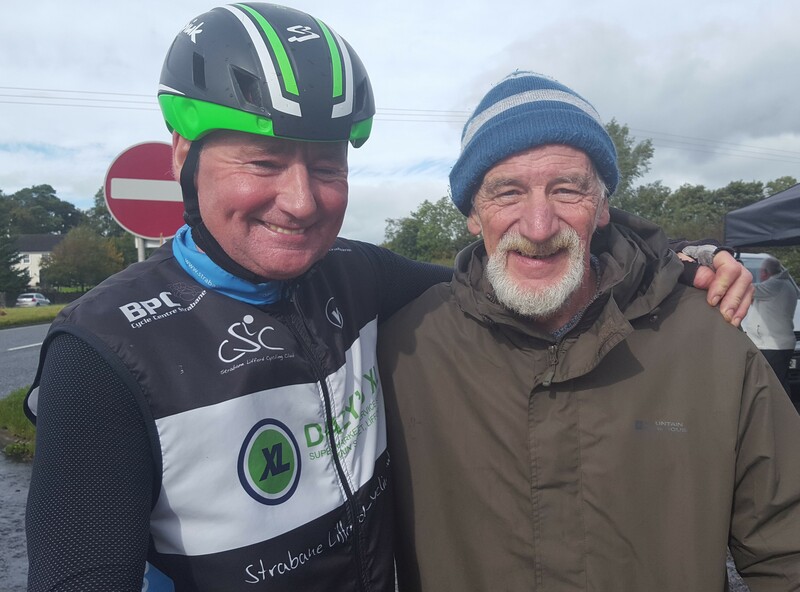 Many thanks to Ballymoney CC for promoting the event and standing around for almost six hours cheering on the riders. 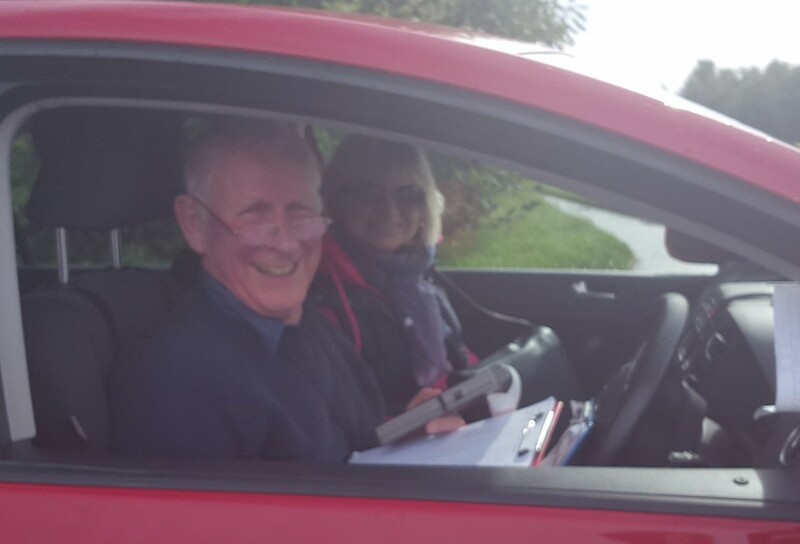 Thanks also to timekeeper Gordon Parker and his assistant Ali.